Well, remember I told you I hauled my tools up to the garage from my studio? There was no where to put them! Argh! Long ago, I had Daniel cut some logs to be legs for a workbench and they still were in the garage. There was also the white countertop I thought I was putting in the studio until the big cabinets and two door tabletop came about. All righty, then! Game on! The logs were not cut very level… It’s hard to do with a chainsaw, but I hoped with support, the tipsiness would disappear. 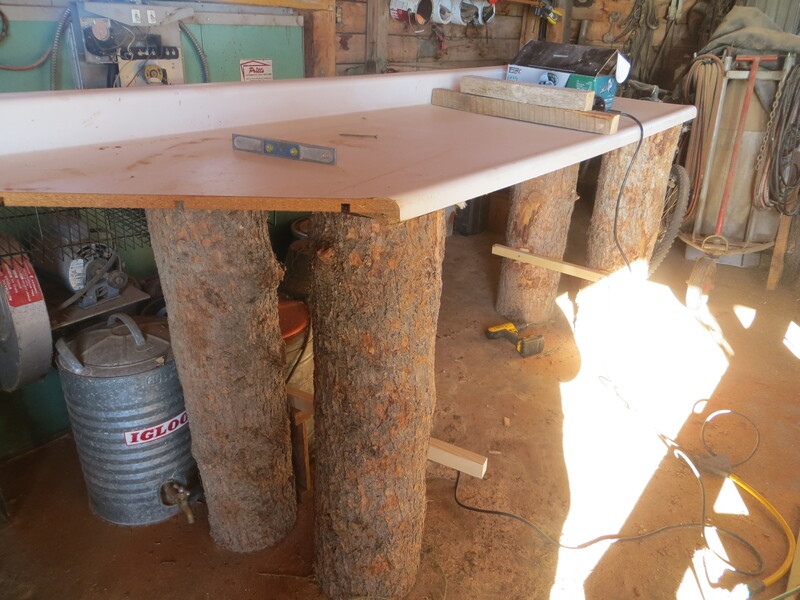 Sure enough, after grinding down the roundness of the logs a bit and screwing boards to the logs, the workbench was pretty solid! The braces became a shelf for all my tools, and… I’m happy! My tools have a home! I love the paint can cubbies! Good job! Is it as heavy as it looks? OH, my, YES! But it is screwed to the wall… It is not going anywhere! That is so cool! Great idea. Don’t know how you do all of that or even think of all of that!! Love it. sooo resourceful – you go girl!! 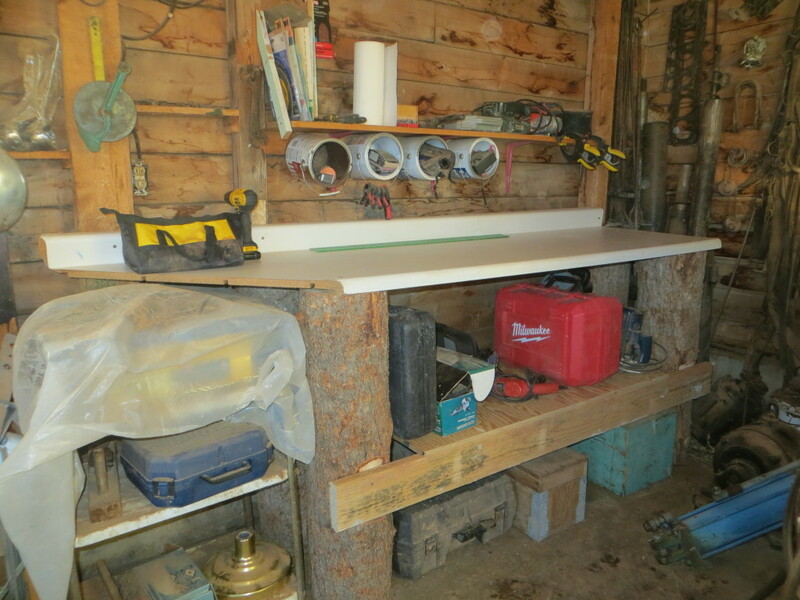 No place for your tools, so you built a workbench! You are amazing. I’m sure that gave you a real feeling of satisfaction!I’m happy for you! GREAT JOB Carol. Looks really good. What a lady. Proud to know you.